Are you worried about the water you drink? Or perhaps, you are more concerned about the amount of money that you spend on quality bottled drinking water and the fact that plastic bottles are slowly taking over your home? Well there is a simple solution to all those problems and this lies in buying a reliable reversed osmosis system that is reliable quite simply put inexpensive. You will not have to deal with the plastic bottles, you will have a constant supply of water for your home and most importantly, you will be able to get clean, quality drinking water for your home at a big bargain. Here are some models that you might find interesting. If you are short on space and still need a great RO system for your home, then you are going to find the Aquaphor DWM 101 quite helpful. 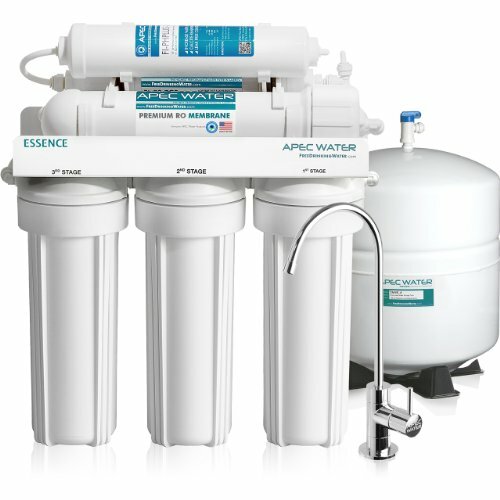 It comes with a one of kind compact design that is almost half the size of the standard RO filter system and this include an airless tank. This means that you will only need half the amount of space that you would normally require to keep the system. With the highly efficient operation, the system does not require you to buy an extra pump or booster even when you are in an area that has low water pressure. This goes to save you more money and space in your household. The unique storage tank and valve system that have been built into the system help to save up to 50% of wasted water meaning that you are able to save up to 9 tons of water a year. Not only does this save you water but also goes a long way to saving the struggling planet as well as your bill. 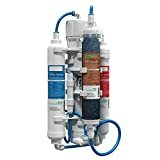 The system is easy to maintain and features twist on and off filters that area NSF certified and easy to replace with the components made from recyclable and approved material. It comes with the ability to eliminate a wide variety of contaminants that include metals like iron, lead and mercury among others, bacteria, cysts, viruses and a variety of pharmaceuticals that include hormones as well as antibiotics. It does not take up a lot of space and has its own storage making it ideal for a small household that is short on space but still has a big demand for clean and safe water. Is super easy to install and get running more so because of its small stature which means that most of the parts come already attached for you. Hence there is not much that is left for you to do. The filters are very easy to change and come with a twist on and twist off technology without requiring you to use any tools or prior knowledge. This ensures you never have to go a day without clean drinking water since it will only take you a couple of minutes to change the filters. Comes with a 3 year warranty which is considerable longer than what a good number of the other reverse filtration system have to offer. This goes to show the superiority in quality that this system has to offer. The instructions are a bit vague and might prove slightly troublesome to follow. However, considering that most of the parts come already in place due to the compact nature of the system, you should not find this very challenging. In the even that you still have problems, you can contact support and get walked through the procedure. 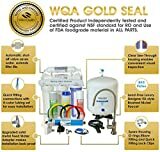 If you have a small household and are limited on space but at the same time you do not want to run the risks that come with taking unfiltered water, this small workhorse could be the solution to all your problems. Even though compact not requiring a lot of space, it is still able to deliver and cater to a family of four which in most cases is the average family size. The price friendly nature means that you not only save on the water you drink, but you are also able to save on medical bills. You also save yourself the trouble of being overrun by plastic bottles.